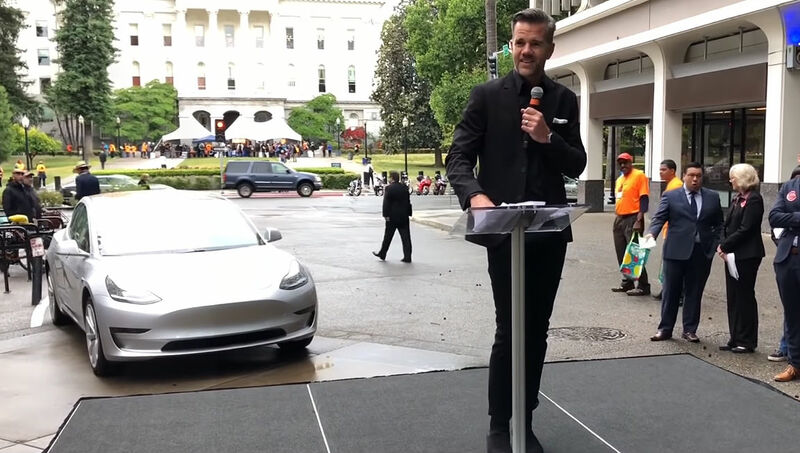 Tesla Chief Designer Franz von Holzhausen recently delivered an address at California’s State Capitol last week. The renowned designer discussed Tesla’s roots in California, its mission to accelerate the world towards sustainable energy, and the company’s plan to help the state reach its goal of having 5 million zero-emission vehicles on the road by 2030. The video of Franz’s speech was uploaded by Tesla-themed YouTube channel My Tesla Adventure. As noted by the YouTube channel’s host, Eli, the purpose of the event was to let the legislature know what is going on with Tesla and its electric vehicles, as well as to offer test rides to the public. 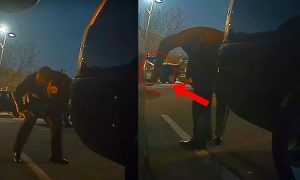 In an emailed statement to Teslarati, Eli stated that people’s reaction to the electric car was one of pleasant surprise, particularly with the vehicle’s range and short charging times. Franz’s discussion focused on Tesla’s progress as an electric car company over the years and how it intends to support California’s initiatives for sustainable transportation. Franz even noted that with Tesla’s help, CA could achieve its 5-million EV goal sooner than 2030. California Governor Jerry Brown signed an executive order earlier this year ordering state entities to work with the private sector to put 5 million electric vehicles on the road by 2030. The order states that the transportation sector accounts for 50% of the state’s greenhouse gas emissions and 80% of smog-forming pollutants. The governor wants to increase zero-emission vehicles in order to meet California’s climate goals set in its 2017 climate plan. 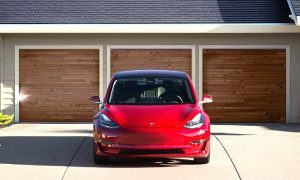 Apart from discussing Tesla’s commitment to contributing to CA’s zero-emissions goal for 2030, von Holzhausen also talked about how Tesla is positively impacting communities because of their employees. 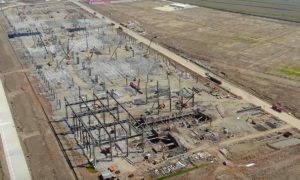 According to the electric car designer, Tesla is now the leading electric vehicle plant in the world, employing more than 10,000 people in the state and contributing $5 billion to the economy. Ultimately, however, von Holzhausen stated that employees are at the core of Tesla. “It’s our employees that are at the core of what we do and you can’t find a more passionate mission-driven set of people anywhere else, probably in the world,” he said. 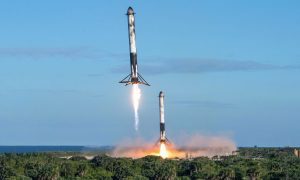 Holzhausen also echoed Musk’s Master Plan for Tesla during his address, stating that Tesla’s mission is to ultimately accelerate the world’s transition to sustainable energy, and that the company will do it one car at a time. Ultimately, Tesla has shown its willingness to commit to more than just electric cars. The company’s energy division alone is involved in accelerating the transition to sustainable energy in other countries. 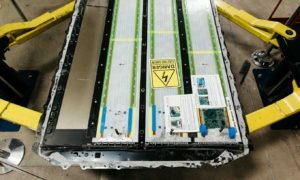 In Puerto Rico, Tesla is using its Powerwall and Powerpack battery solutions as a means to help the island nation get back on its feet. In South Australia, Tesla’s Powerpack farm is consistently proving its worth by helping the region’s beleaguered energy grid. Holzhausen joined Tesla in 2006 and became the Chief Designer in 2010. He is responsible for designing the Model S, X, and 3, as well as the new Roadster and Tesla Semi. Before joining Tesla, Holzhausen worked on vehicles such as the Pontiac Solstice and Volkswagen Beetle. Watch Franz’s speech at the CA State Capitol in the video below.